Having my DNA tested has been an eye opening experience. I am Italian and French…that is who I am. Well…that’s who I was until my DNA test results came in. (cue dramatic music) I now have an explanation for a couple things that never quite fit. I am still quite Italian, 62% actually and French but a mere 8%. Surprisingly (or not really, I guess) what rounds me out is Irish, at 19%. Finally, an explanation for my love of potatoes, the color green and very, very, very fair skin that even my overwhelming Italian percentage can’t help tan! It’s as though I found a new relative or just a new connection in the world. This sounds dramatic, I know but being French & Italian was very important in my family growing up. 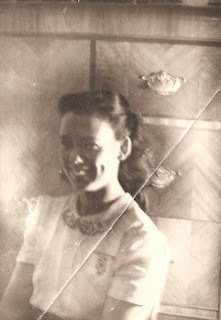 I lost my Mom early and her ‘French-ness’ was something I held onto, a special connection, that I had with her. Looking at her photos with this new information…I see it, not just the Irish but myself in her. Turns out that was the special connection all along. watermelons, corn and rhubarb not only to feed their 10 children but to supplement their household budget with a garden stand in front of their home. In the summer their kitchen was changed into a factory full of jars, boiling pots on the stove, salt and vinegar as they canned tomatoes. I always knew that someday my own children would share in these traditions. Fast forward several years, I find myself living in the home of my dreams with ample land for my first ‘serious’ garden or mini-farm as my husband likes to say. A large plot that seems to grow every year. You can find me daydreaming about the sun on my face and the soil in my hands all winter long, browsing seed books while charting my garden with paper and pencil. 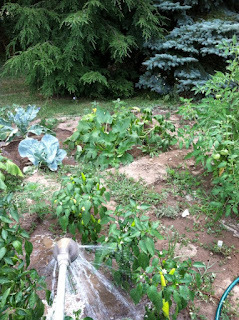 Living without a vegetable garden is simply not possible for me. Maybe it’s genetics but I take great pride in the fact that I can feed my family without a trip to the grocery store just as my grandparents did. This morning before heading to work, I picked the first lettuce of the summer. In just a couple weeks the tomatoes will be ready to can, made into sauce, ketchup and salsa. Most of my friends would rather just make a grocery stop for their spaghetti dinner but not me. All the work will be worth it when January's Sunday dinner is a sweet reminder of summer. I've collected what might now be called 'vintage' cookbooks for years. The simple recipes have always captivated me. Recently I was given an old journal of my Meme', my French-Canadian grandmother. Not only did she note every cent they spent for years, it's filled with handwritten recipes. Jackpot. She passed away when I was about 6 yrs old so my memories are foggy to say the least. This was just the connection I needed. The first recipe I found in her journal was for Pate' Chinois or Chinese Pie. This was my comfort food growing up. Seeing her words scribbled in pencil, changing mid sentence from French to English was incredible. My Mom would make this simple shepherds pie during our cold New York winters just as I now know her Mom must have done. Looking back, I understand is was a frugal way to feed a large family. To me it will always taste like home. There is no definitive explanation for the name but the most commonly told story is that it was created by Chinese workers building the Canadian railway in the 1880's. I can only imagine that they found the simple ingredients very filling for the hard work they encountered daily. I make it for my own family now, usually when I find myself with leftover mashed potatoes. If you will be using freshly made, I suggest you make them a little drier than normal and the creamed corn is a must! In a 13x9 baking dish, layer ground beef, then creamed corn and top with mashed potatoes, that's it. I drag fork tines across the potatoes to make small peaks just like my Mom did. It adds a rustic touch and seems to brown up a little better but that's just me. Bake 30 minutes at 375 degrees or until the top is lightly browned. Let sit for a few minutes before serving. 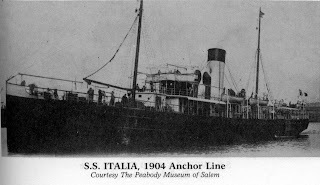 My Italian grandparents came to this country with very little in the 1910's. Grandma arrived a couple years after her husband, traveling with two little girls having buried her oldest daughter two months before making the 3 week trek, by foot, to get on a ship in Rome that would land in NYC about 20 days later. 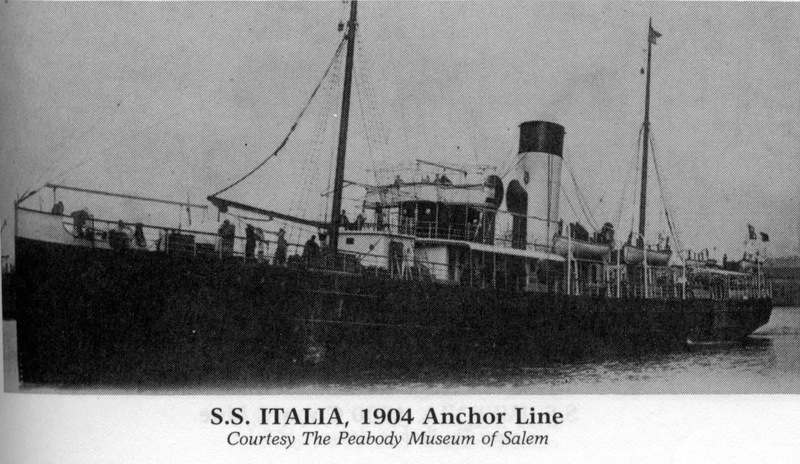 Arriving in Ellis Island, she waited in the barracks for another month. Her husband needed to travel 6 hours to meet her but more importantly, he needed to take time off from his job and bring the balance of fare owed. She was a tough broad. Despite the hardships, they raised their many children, not speaking the language and with very little money in a house they bought with cash, that's right... cash. Grandma along with most mothers in her generation, didn't work outside the home but kept a big garden, preserving everything and wasting nothing, mending clothes, keeping house. Both of my grandmothers lived a very hard life but I don't know if they knew that. Every generation moves ahead a bit and my great grandmothers likely saw their daughters as living in luxury in the United States. These were some of the strongest women I never knew. Not only did they survive, they flourished. They say you die twice. One time when you stop breathing and a second time, a bit later on, when somebody says your name for the last time. By keeping our ancestors alive thru their food, they will live on for generations..
Before we had all the fancy gadgets and tricked out appliances in our kitchens...we had a table, like my grandmothers table, where families gathered, meals were eaten, prayers were prayed while hands were held, new births celebrated and loved ones were mourned. 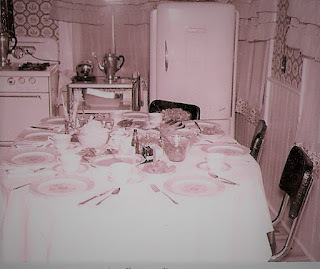 Our family's history was decided around these tables while sharing meals and stories of the day.